Reverse osmosis (RO) and Nanofiltration (NF) are physical separation technologies used to remove contaminates from liquid streams. In recent years, RO/NF technologies have become more efficient and affordable for use across a variety of industrial applications, including potable water generation and the treatment of brackish water, seawater, and wastewater. RO and NF are membrane filtration technologies in which pressure is applied to a liquid stream, driving it though a semipermeable membrane in order to remove dissolved solids. In this way, RO/NF closely resemble other forms of membrane filtration, including Microfiltration (MF) and Ultrafiltration (UF), yet are capable of removing even smaller molecules, such as dissolved organics, pesticides, and agricultural chemicals. With the smallest pores of all filtration membranes, RO and NF membranes can foul quickly if larger particles aren’t removed by upstream filtration technologies, such as media filtration or MF/UF. Pretreating process streams to remove these problematic particulates can also reduce the amount of energy needed to maintain adequate pressure in a RO/NF system. When process streams are sufficiently pretreated, RO/NF membranes can have a long service life and require relatively little maintenance. This is because feed water constantly flows across the surface of the filtration membrane in what is called crossflow filtration, which results in rejected substances being swept away with the waste stream, as opposed to caking onto the membrane. While RO and NF are fairly efficient purification technologies, both demand energy to move water across their membranes. This is because their fine pores result in a high concentration of salts and other compounds on the retentate side of the membrane, and as a result, enough pressure must be applied that the water is able to overcome the osmotic pressure that causes water to resist flowing through the membrane. 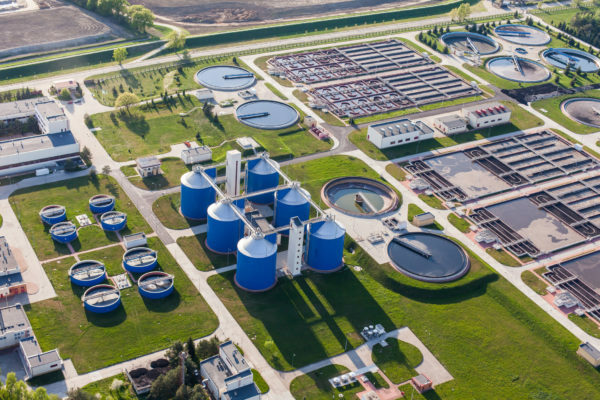 Conventional water treatment trains typically consist of several unit processes, including: coagulation, flocculation, sedimentation, clarification, ion exchange, and filtration. While conventional treatment systems are effective in removing dissolved solids, they do so through a complex series of steps that often demand a large footprint and investment in an assortment of specialized equipment and chemical agents. As RO/NF membrane technologies have become more efficient and affordable in recent years, they are increasingly being adopted as more compact, efficient, and environmentally-friendly alternatives to conventional treatment trains. When NF is used in place of traditional lime softening, for example, multiple treatment steps are consolidated into one, and no concentrated brine byproducts are produced. While RO and NF are very similar, they can be distinguished based on the size of particulates that each is able to remove. Comparatively, RO and NF are capable of removing finer contaminates than MF and UF, with applications including the removal of hardness, nitrates, sulfates, total dissolved solids (TDS), heavy metals, radionuclides, and organic macromolecules from process and waste streams. RO is the finest of all membrane filtration systems, with extremely small pores capable of removing particles as small as 0.1 nm. RO has existed since the 1950s, and is used chiefly for desalination, as in potable water generation from seawater or brackish water sources. Other applications of RO include filtering process water for industrial applications, such as in the printing industry, in order to sustain optimal equipment performance. RO membranes are very efficient at removing all ions, large and small. NF delivers slightly coarser filtration than RO, with the ability to remove particles as small as 0.002 to 0.005 μm in diameter. NF is a relatively recent technology that was developed mainly for potable water generation. NF removes harmful contaminates, such as pesticide compounds and organic macromolecules, while retaining minerals that RO would otherwise remove. Nanofiltration membranes are capable of removing larger divalent ions such as calcium sulfate, while allowing smaller monovalent ions such as sodium chloride to pass through.